Among the transformation initiatives states are undertaking to revamp, strengthen, and sustain their Medicaid delivery systems are provider payment incentives designed to lower costs and improve quality of care and health outcomes. A recent National Academy for State Health Policy (NASHP) report on Delivery System Reform Incentive Payment (DSRIP) programs and similar state incentive programs, developed under contract with the Medicaid and CHIP Payment and Access Commission (MACPAC), finds that states are meeting many of their objectives, but that revamping and improving health care delivery and payment remains a complex and challenging process. 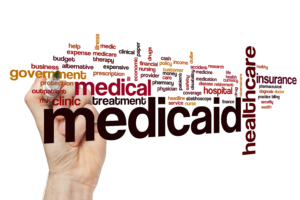 Section 1115 of the Social Security Act gives the Centers for Medicaid & Medicare (CMS) authority to grant states waivers from existing regulations to give them additional flexibility to redesign and improve their Medicaid programs. DSRIP programs incentivize infrastructure improvements, care delivery redesign, and improvements in the quality of care for low-income populations through value-based payments. In addition to DSRIP, CMS has granted Section 1115 waivers to some states for similar provider-based quality incentive programs. All of these programs tie incentive payment disbursement to achieving certain milestones, such as improved health outcomes or other quality metrics. As of June 2017, CMS had approved about $48.4 billion in federal and state matching funds to support eligible providers participating in DSRIP and DSRIP-like programs in 12 states. Through these state DSRIP programs, providers have redesigned care delivery models by implementing primary care medical home models, developing chronic care models to improve chronic disease management, improving care transitions from inpatient to ambulatory care settings, and using health navigation to reduce hospital/emergency department use. Over the years, as CMS approved new initiatives, program design has evolved. Increasingly Medicaid agencies are using DSRIP programs to emphasize behavioral health integration and health-related social needs. They are using DSRIP programs to promote the development of risk-bearing networks and regional integrated provider partnerships comprised of hospitals, primary care providers, behavioral health providers, and community-based social services organizations. They are promoting alternative payment methodologies in managed care. Essentially, Medicaid agencies view DSRIP as a complement to other payment and delivery system transformation initiatives. The new NASHP report highlights the findings of a 2017 project that explored the similarities and differences between early programs (approved before 2014) and recent programs (approved in or after 2014). It provides a cross-state analysis of the programs and describes development and implementation experiences from a variety of perspectives. Despite the early promises of DSRIP programs, challenges remain. Stakeholders acknowledge that transformation and improvement are continuous processes. The upfront funding that DSRIP provided has been critical to care improvements, yet the programs are time-limited, despite the fact that change is an ongoing process and defies a deadline. States are exploring mechanisms to sustain DSRIP delivery system reforms through managed care contracting and increased use of alternative payment methodologies, which could enable providers to recoup some of their investments that yield savings, yet there is uncertainty about how this model would work. DSRIP programs are continuing to evolve, and some are not yet fully operational. Published evaluations show that most providers are meeting most metrics and milestones, but it is too early to definitively evaluate whether they are meeting their goals of improving care and health and lowering costs Nevertheless, the flexibility that DSRIP gives Medicaid agencies, health plans, and providers to invest in and address the greater needs of Medicaid beneficiaries for behavioral health care, social supports, and care integration holds great promise.